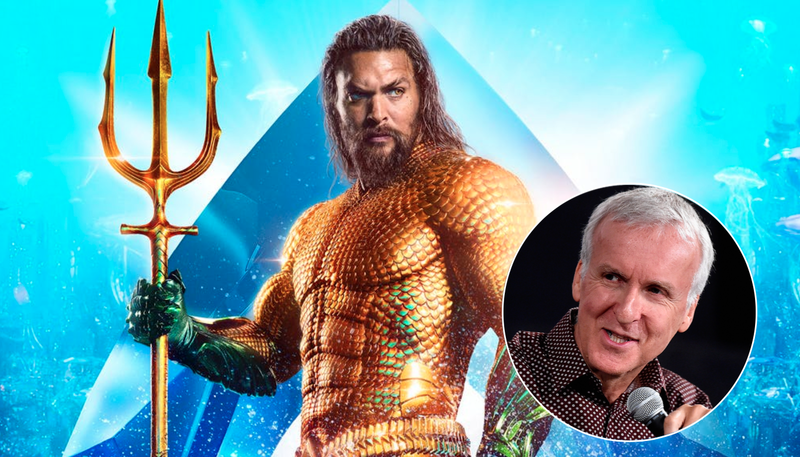 James Cameron criticized „Aquaman“ for not being realistic enough, and not helping people understand the ocean. Cameron made an „Aquaman“ movie in the fictional universe of the „Entourage“ TV series. The director of the two highest-grossing movies of all time, „Avatar“ and „Titanic,“ told Yahoo that he thinks the movie is fun, but not realistic enough. „Aquaman“ director James Wan would likely disagree. He called it a „f—ing disgrace“ when the movie wasn’t nominated for visual effects at this year’s Oscars. Cameron also said „Aquaman“ didn’t help audiences understand the ocean. Though Cameron said in the Yahoo interview that he couldn’t have made „Aquaman,“ in a funny twist, he did actually make an „Aquaman“ movie once — on a TV show, anyway. In the fictional universe of HBO’s „Entourage,“ Cameron directed an „Aquaman“ movie starring Vincent Chase that made a record-breaking $116 million at the US box office its opening weekend. The real „Aquaman“ movie didn’t make quite as much when it opened in December, but it went on to be the fifth highest-grossing movie of 2018 with over $1 billion. In real life, Cameron has been busy making back-to-back sequels to „Avatar,“ set for release in December 2020 and 2021. Cameron has never made a superhero movie, but was close to making a „Spider-Man“ one. He wrote a long, and creepy, treatment for his vision in the 1990s, but it never saw the light of day because Cameron didn’t want to deal with a long bidding war after the original studio went bankrupt.